An Internet Payment Gateway is an integral part of the e-business solution. This electronic mode of money transferring system promises the buyer and the sellers a secure monetary transaction. 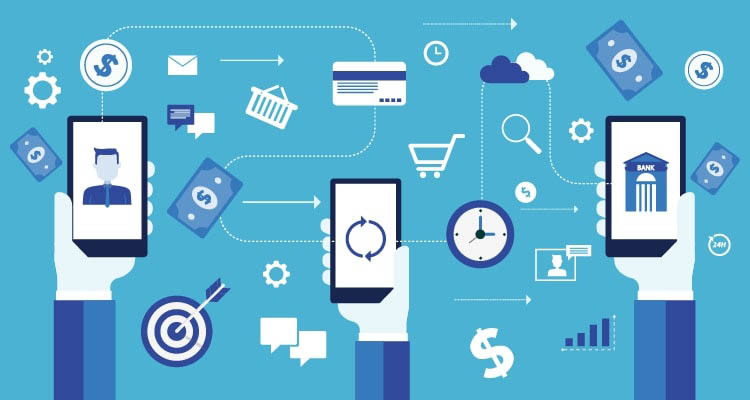 An internet payment technology is an e-commerce monetary transferring system that helps the e-retailers, e-businesses, and brick-and-mortar stores run their trade effectively with secure transaction. The payment gateway lets a business to accept payment from customers’ credit or debit cards via internet connection against its product. These internet payment gateways are integrated to the shopping websites or carts where the customer places an order and chooses to pay online through internet payment gateway. An online shopping website also gives its customer cash – on – delivery (COD) option wherein a customer pays cash payment when he or she receives the ordered product at his or her doorstep. Cash on delivery is considered as the most secure way of payment option as there is no fear of losing your delicate transaction details to a prying third party. But a customer deprives many benefits when he chooses the cod option. Certainly, a customer can enjoy many benefits paying online such as attractive discounts on desired products and can be exempted from delivery charges which pinch your pocket very hard sometimes. However, the customers can best enjoy the multiple advantages by using their credit or debit cards for online payment. These credit or debit cards offer interesting reward points to the cardholders which can be redeemed at major online and offline stores. Despite, all these benefits of the credit or debit cards issued by the issuing banks, the safe usages these cards are the major concern among the customers. The security and safe use of there is completely depending on the internet payment gateways. With regular advancing technology, the payment gateways are adopting the most improved and most secure payment processing system to provide online buyers and sellers the most effective and protected money transactions. The payment gateways that have partnered with e-commerce shopping sites take the responsibility to safeguard the delicate information of a customer. It promises to protect the details while processing the payment from his/her account to the merchant’s account. The payment gateway connects the online retail store to the customer’s bank or the payment processor and validates the details. On validation the transaction via web/mobile pages it completes the step making the payment. The integrated payment gateways give the user extra security facility by providing them with inbuilt payment direction. Unlike the host payment gateways which redirect the user outside of the shopping site without taking complete responsibility for the payment process. An integrated Payment Gateway also offers mobile-friendly usages to provide them smooth shopping and payment experience. On the other hand, the architecture of an e-store plays a major role in supporting back up certain features in the process of secure payment.